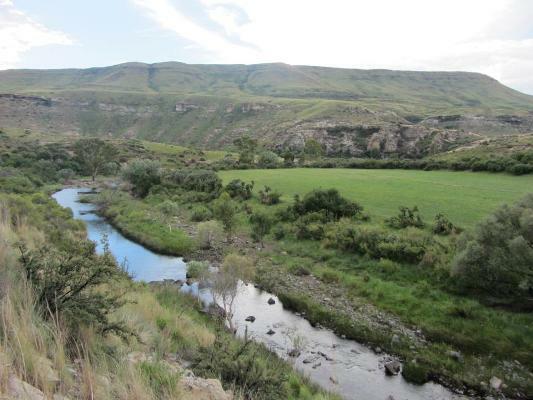 A report on the Dirt Road Wild Trout Festival which commenced on 16 March may be accessed at http://www.fosaf.org.za/read-Current-288.php. Following the festival the rivers have continued to be in been in great form although the Kraai is still a bit discoloured but should clear in a week or two. Note that these Wild Trout rivers remain open through the winter. If stillwater fishing is required the lake at Tiffendell continues to produce good results. It is interesting that this lake has never been restocked as the fish breed adequately in the feeder stream which is almost unique in South Africa where most dams require restocking. Colin Moolman of the club reports that the rivers are still on the high side but should be perfect by May in time for the festival. The club has access to a number of dams which are well stocked. The annual Rapture of the River Festival was cancelled for 2018 but has been scheduled for 10 to 11 May 2019. The Barkly East River Festival was a great success and the report can be reached at http://www.fosaf.org.za/read-Current-289.php. Since then there have been a number of visitors enjoying the perfect stream conditions Limpopo junior fly fishing team who were practising on the many streams in the area over the last 3-4 days caught and released over 1000 trout, mainly on dry fly. Apart from one dam stocked with brownies the club has restocked several other dams with rainbows, one of which has very large fish. Day tickets at R150,00 are available from Andrew Clark at 084 5166471 or andrew.clark@bkb.co.za. The club also has a festival on 23 March and for more details please go to http://www.fosaf.org.za/calendar.php.